I had the opportunity to sit down with Parkersburg native, pop singer-songwriter Megan Galici (Gah-LEE-See), in between sets at her Undo’s performance, last night. Her smooth vocals, catchy originals and unique covers are local favorites, only matched by her friendly personality. I was so happy to get to know her a bit better. Hold The Note: So you’ve performed here (at Undo’s) before. And now the last time you were here, I think you were (performing) in the restaurant? Megan Galici: Yeah, so when I’m by myself, I’m in the room that I’m in, now (the Sports Bar). And when I opened up for Two Buds (& a Slapbox) and Jake (Binegar), we were in the room that’s more of a dining area, and they just cleared out the tables in the middle, and set up there, so that people could sit there. HTN: So, would you say you’re your own PR person, right now? Megan: Basically. Now I will say my dad is super good with the sound stuff. My dad and I do the soundcheck. As far as booking shows, my mom helps me with that, but typically, it’s me. Like this week, I was calling four different people and left messages, and was emailing people. HTN: I respect your hustle. I got online and saw all the work you were doing, and (the reality hit me that) I’d guess people don’t just pound your door down, in general. Megan: I definitely try to do that (hustle). I got a job at the mall for a while, because I wanted a steadier source of income. It’s frustrating, because when I would have a show, I would get paid way more than minimum wage…but then again, it’s not steady. You could get cancelled, but I pretty much booked every Friday and Saturday night that I was in town. And they say it’s a fine line, if you play too much in an area, people stop coming…but I have no (other) job right now. I’m gonna play anyway, and hope people show up. HTN: So you went to South (Parkersburg South High School). Were you born and raised Parkersburg, or are you from somewhere else? Megan: Yeah (I’m from the Parkersburg area). When I’m in town, I book (local) shows. Because half the time, I’m in West Chicago with my fiance, planning our (October) wedding. He’s a musician too, and can play every instrument and “song-write” beautifully, and sing. And he will be playing for me. Because I would rather be on stage, and have a band, and sing. I don’t want to be behind my guitar. I know that seems backwards. I know for (my fiance), if he’s not playing an instrument, he feels awkward-I feel awkward with it. HTN: Do you think maybe you’re focused “too much” on playing? Megan: Yeah! I have to keep telling myself, “Stop looking so mad, because you’re concentrating on your guitar.” And when I’m on stage, because I had a band for a little while last summer, I could walk around and smile at people, and interact with the audience. That’s what I really want to do. HTN: I noticed up around the stage, you seemed to already know everyone that was there. I can’t complain, I’ve been sleeping in til noon every day since I got back (from Chicago). I like to sleep my morning away, and then just stay up through the wee hours of the night. HTN: But isn’t that kind of the lifestyle of working musicians, sometimes? HTN: Maybe if you were flying toward something? Megan: Yeah. I’ve flown into Chicago once, which is like, the world’s biggest airport. HTN: But you’re gonna own it, though. Megan: I guess. Oh! Put this in the magazine (speaking of leaving things behind)! I tried to bring a cheese cutting board with the knives in it, on a plane, this past time. I totally forgot, it was in the bottom of my suitcase, and I just threw everything on top of it. They (at the airport) asked me if I had any sharp objects…and I’m saying “of course not”…and then I look at the screen…of course all of my clothes are on top of it. And so now he (the TSA agent) knows me, and it’s the only airport I fly out of. That cheese board is still in Chicago. He (her fiancé) is going to bring it with him when he comes to town, next time. Megan: She calls herself my mama-bear. We’ve been talking about your career, and what you do…how long have you been performing? Megan: “Performing” since I turned 16. I’ve been singing my entire life. (Megan thought this was cheesy to say, but I disagreed). I was 4, and I had headphones on, and I didn’t understand that since “I” couldn’t hear me, I thought that no one else could hear me. That’s not how headphones work. And we were at my brother’s baseball game, and I was singing so loud, I was distracting the baseball players on the field. So my mom had to tell me to be quiet. But I’ve been performing since I was 16. And I kinda had this dream that I was gonna get discovered, and I’ll be famous, and it’ll be wonderful, and then I turned 16. And I said “I should DO something to make that happen”. I’d been waiting my whole life for someone to find me. I didn’t have anything on YouTube. I didn’t have a social media presence. And I just thought “They’ll find me”. And then I said “I live in a small (town) area. I love it, but it’s not “happening, musically”. It’s getting so much better. I’m moving away, and so much stuff is happening (now). HTN: But you’ll be coming back. I started realizing I should do something for myself to make this a thing. So I started working with Breyer White (of local bands We Are Funhouse and Jesse Smith & the Holy Ghost). He’s my producer. So I worked with him to make my first EP, which is out on iTunes. It’s called “Coming and Going”. It has 5 original songs-one of them, he and I co-wrote. I’d never recorded, before. I brought him lyrics, a melody and chords, and I said “Have this”. So he arranged it, and throughout it, I kinda learned how the recording process goes in his studio. And we worked back and forth, and just work really well, together. He also worked with me on “Two Different Hearts”, which came out on Valentine’s Day. And “Dangerous Boy” which came out a couple weeks back. There’s actually a rap in that one, which I can’t do, live. He (Breyer) put it in a lower register. And it sounds weird if you’re rapping in a really high octave. I could make it super short, live, if I cut that out. I also have another rap in a song that I wrote. HTN: So you also love the rap and hip hop community? Megan: Yeah, I don’t know if you’ve heard of Cher Lloyd? I like Cher Lloyd, a lot. She’s a British singer-songwriter, but she’s like, 5’2”, and so sassy. She’s adorable, I love her. She raps in her songs. She’s super pop and hip hop. She kind of inspired me to be like “This is okay. I guess I could flip this half of the song”. I was uncomfortable at first. It was my first EP that was coming out. And Breyer said “If you’re not uncomfortable doing something, you probably shouldn’t even be doing it.” And I said “OKAY, let’s do it!”. And people like it! And my mom, and my Aunt, and some of my friends rap with me. When it’s just me and the acoustic guitar, rapping is a little weird, that way. When I get to Chicago, my fiance will have a band going, up there (So I’ll probably rap more). Our band (here in WV) lasted for about a minute, last summer. We played at the Adelphia Open Mics, and Adelphia’s Got Talent Competition. And we made it through the first round. And we were up against, (We Are) Funhouse, and the Sour Mash String Band. And it was awkward, because I love them both, so much. Everyone was so amazing, I didn’t care who won. (But) Sour Mash won, and they were super good. The biggest dude in the band-he’s over 6 feet tall-he plays the smallest instrument in the band. He plays the mandolin. He was my health teacher. Another is my friend’s dad. They’re all from the area. They’re a really good bluegrass band. 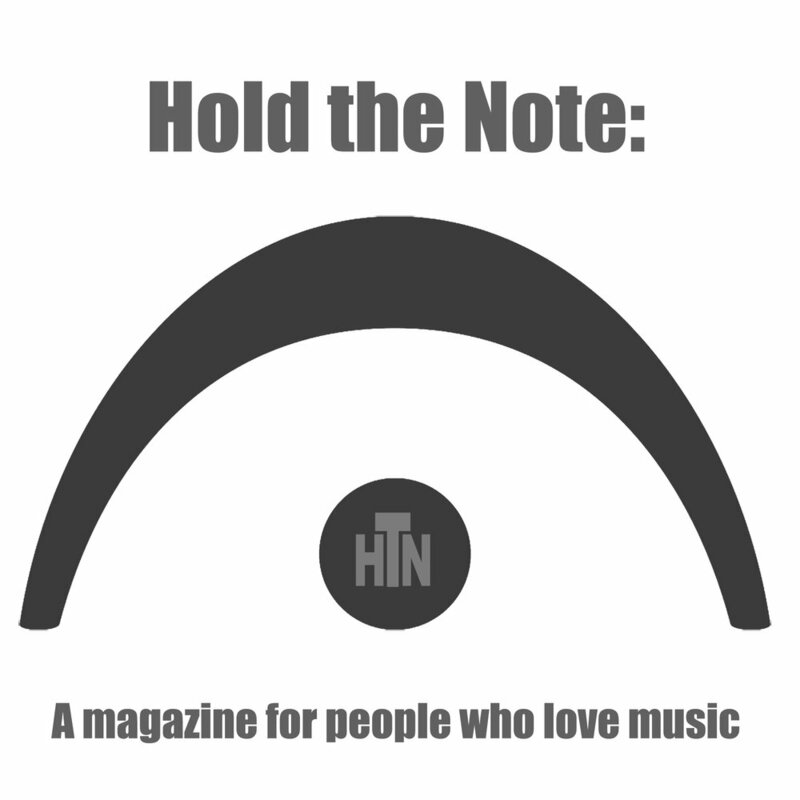 HTN: Okay, only 2 more questions…If someone hasn’t heard of your music, before. How would you describe it? HTN: But it’s not always acoustic, right? You play piano. Megan: I play keys a little bit. I started off playing a little bit. I took lessons, but then I didn’t like the lessons, so I just would play whatever I wanted. But then I wanted to play the guitar, because I saw Ed Sheeran, actually. I love him a lot. So he inspired me to start playing and writing my own songs. And also, it’s easier to carry a guitar than a keyboard….but actually only slightly easier. I’ve never played keys live. I think I tried once, and it was even more awkward than the guitar. Unless I start to arrange my own music, and then put it all together. That may be better. HTN: So if that feels like it’s hard to define, say you had people come in to see your show, and they were leaving at the end of the night…what would you hope they would say to each other at the end of your show, about your performance? Megan: I would hope that they would think it was different-especially from what’s going on in the area. I call myself the only pop artist in the MOV, because I’m pretty sure that’s true. I’m sorry if I’m offending anyone, if there are more pop artists, and I don’t know who you are. I haven’t found you. I don’t know of anyone else that…first of all, female musicians here (in the area) are so lacking. They’re hiding. I don’t know where they are. I was the only girl at open mic at the Adelphia for a long time. But at the same time, I didn’t have any competition. It was just me (as a female musician). So I (also) would hope that they would think it was a unique experience because I play pop music. And then I would hope they would like my vocals. I don’t call myself a guitar player. I’m a singer who sometimes plays guitar. I use it as a tool for songwriting, and for backup on my vocals. HTN: You don’t just want tracks behind you. Megan: Right. Unless I had a full band behind me, and had subtle tracks playing, like they do with pop music. So I want to take more of that route. Have you heard of Alessia Cara? She’s new. She’s opening up for Coldplay right now. I like her message, a lot. She’s kind of a hip hoppy pop star, but she gets a lot of crap for not dressing up (in a feminine way). Her song called “Scars to Your Beautiful” is about being you and being beautiful, and not what society (necessarily) wants. Someone called her out, asking why she “looked homeless, performing on stage”, and it’s like “you obviously didn’t listen to her music”. So I hope to be like that…I want my music to be more than (dressing that part). I always like when people like my originals. When someone compliments my original work, that’s the best thing you can say to me. HTN: I noticed there was a lot of social time beforehand. He (my husband) was wondering if you have a warm-up routine. What an awesome, easy conversation I had with Megan, last night. I’m excited for her, her ideas and her talent. Be sure to check out Megan Galici in front of Silver Linings, tonight at 7:30, while you’re in Marietta for the Sternwheeler Festival.